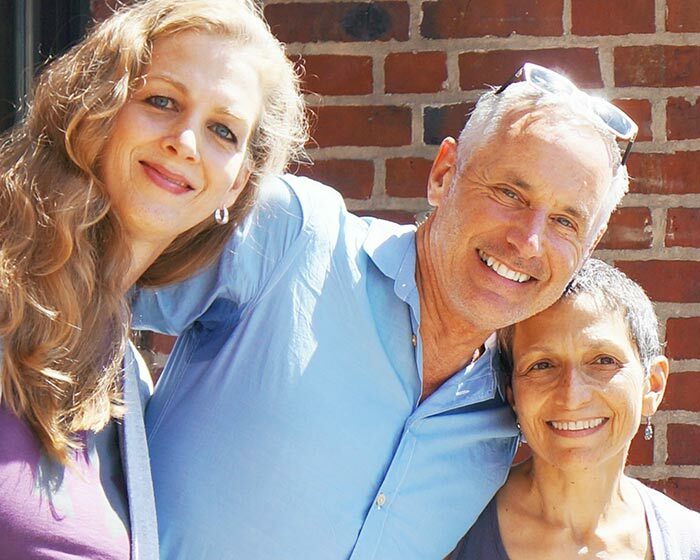 From left to right: Kimberly Reed, Mark Campbell and Laura Kaminsky. Kimberly Reed (left) and Laura Kaminsky in Norway while filming and composing the final “Norway” scene of As One. 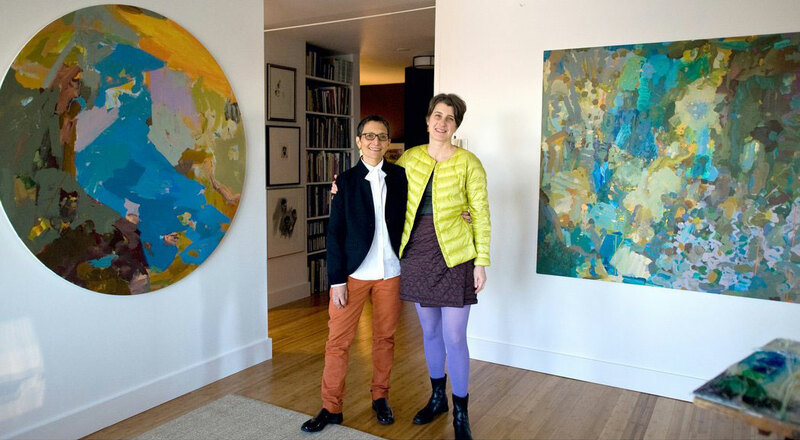 From left to right: Kimberly Reed, Laura Kaminsky, and Mark Campbell. 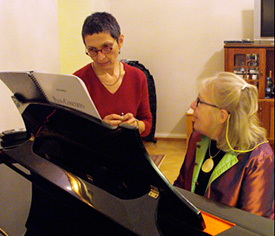 Laura Kaminsky (left) rehearsing for the world premiere of the Piano Concerto with Ursula Oppens in St. Petersburg, Russia in November 2011.